Frenchtown is a historic neighborhood and business district on the northeastern edge of St. Charles, Missouri. It features an up-and-coming antiques and art district, a treasure trove of French-colonial-style architecture, and a vibrant small-town feeling. We love our neighborhood! Whether you’re here to search for vintage goods and local handcrafted art, to stroll through a neighborhood in search of beautifully-preserved 19th-century houses, to play and picnic at one of the nearby parks, or to connect with neighbors at a meeting or potluck (see our Events page)— welcome! 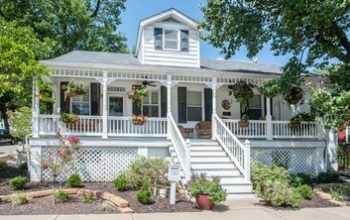 The Katy Trail runs along Frenchtown’s eastern edge, providing an ideal route for cyclists or walkers, and the St. Charles trolley makes a stop in the heart of Frenchtown at the corner of 2nd and Lawrence. • Visit the Frenchtown Heritage Museum. Located in a restored fire station, this museum features photographs and archives about the history of the neighborhood, as well as rotating displays on different topics. The museum also serves as a community hub, providing a place for neighborhood meetings, special events, and other activities. Drop by to see their latest exhibits and to pick up a walking tour brochure. • Browse the shops on Second Street. Click here for a complete list of places to explore. • Enjoy one of the many parks in the area— see our Parks and Recreation page for more info. • Also check out our Events page for the latest happenings! If you’re looking for a way to meet more of your neighbors, learn about happenings in the community, and become part of the team working together to keep Frenchtown special, then please consider joining the Historic Frenchtown Association— details here. Alternately, if you’re just curious about what’s going on but aren’t ready to commit, feel free to visit one of the monthly neighborhood meetings! They are held at the Frenchtown Museum (1121 N. 2nd Street) on the third Thursday of every month at 7:00. How can I contact the HFA with questions or comments? Please send us an email at historicfrenchtownassociation@gmail.com. We’d love to hear from you! Why is it called Frenchtown? Sign up for the Frenchtown house tour. This tour takes you through historic houses in the Frenchtown Neighborhood. What’s Going on in Frenchtown? Check here to find out! Neighborhood meetings are held the third Thursday of every month at 7:00pm, often preceded by a potluck at 6:00. Hope to see you at one of our events!